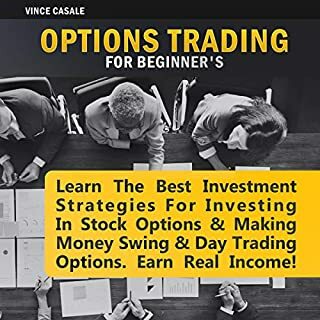 Learn the Best Investment Strategies for Investing in Stock Options & Making Money Swing & Day Trading Options, Earn Real Income! If you’ve always had an interest in learning about options trading but didn’t know where to start, look no further. 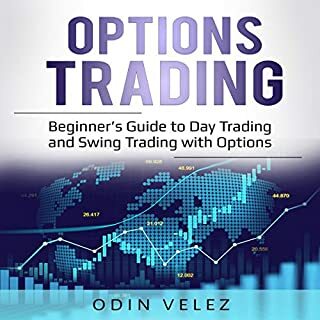 This audiobook will cover everything from the basics of options trading to how you can find a broker to help you get started. You will discover specific strategies for trading options and the type of people commonly found using these strategies. You’ve probably heard all the benefits of options trading before, and maybe you’ve even tried making your first trade already. Have you always had an interest in the stock market and trading options but found them too overwhelming to learn about? If so, then this guide is for you! Investing in the stock market is one of the best ways to create long-term wealth for you and your family! Anyone can create lasting wealth with the stock market and options trading with the right tools and information! The guidelines, strategies, and tips included here will teach you how to not just get into the market, but to work it just like a pro. 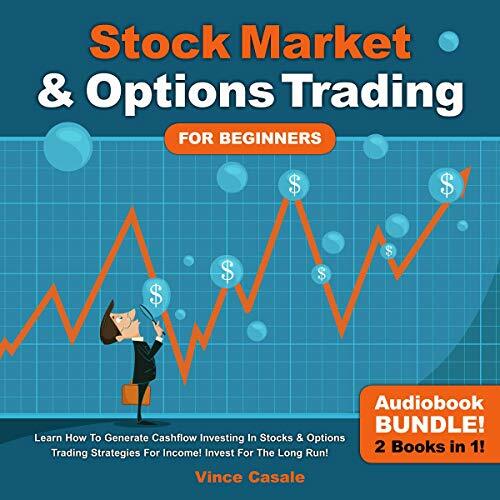 If you’ve long been curious about the wealth that can be gained from investing in stocks and options trading, this audiobook opens the door and gives you an inside view of how to work the market to your advantage. The only thing stopping you from getting the life you want is taking action today! 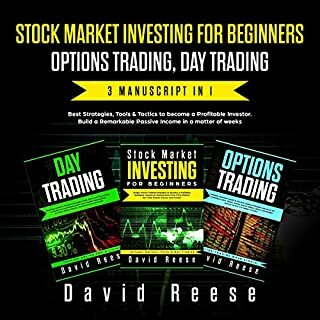 Download this audiobook now so you can launch a new future for yourself in stock market investing and options trading! Easy to listen and sound advice. I would definitely be recommending this book. I will be trying out some of the techniques! The Covered Call strategy is one of the best ways for any investor to boost their income substantially with very little risk and Victor explains it better than anyone. He is also very approachable through email, if you have any questions. I was very impressed! Covered a whole range of Stock Market topics and shows exactly how and why to get started in each and what is best for each of us, thoroughly enjoyed the book and would recommend to any newbies out there. Loved both the investing and trading books and how they intertwine, for me I do both but this book shows how to find what strategies are best for you- highly recommend. 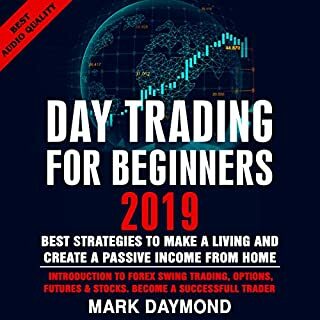 Amazing book for beginners that goes over basically everything you need to get started in both investing and trading as well as exactly how you can get started with step by step guides to do this, thoroughly enjoyed. 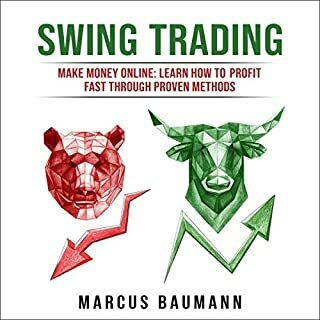 Covered a whole range of Stock Market topics and shows exactly how and why to get started in each and what is best for each of us, thoroughly enjoyed the book and would recommend to any newbies out there. Quite simply, I'm now very inspired to start my journey in both investing and trading and to hopefully never have to worry about money after! That's the biggest thing for me, thank you so much and I must say very engaging narration- highly recommend! Wow! Finally, I know exactly what path is best for me to take to retire wealthy through the Stock Market, to add to that the narrator made listening an absolute pleasure-A perfect introduction to the Stock Market for beginners, showing both beginner and advanced technique and the exact step by step process for beginners to get started- highly recommend to all. Must read for all investors! As a beginner, this has been perfect for me, made me realize what strategy is best for me in the Stock MArket and how I'm going to retire wealthy and happy without money worries, thank you so much! Anyone looking to get started in the Stock MArket needs to read this book, not only is the content exceptional but the narration makes it so engaging- highly recommended! Worth the listen for the price. Once you get into trading and looking at the market every day and re-listen this book. You'll have a paradigm shift and will make this book a more exciting read the second time you listen to it. It will make more sense. Never stop listening to stock books. The book is somewhat pointing out some obvious observations but for the price. Its worth the listen. An excellent strategy that really works for swinging for quick bursts or take small position size and ride out for longer-term thru pullbacks. Great value for a small book. I have listened to a lot of trading literature and am a seasoned trader, but this is something else. Victor writes in an easy to understand, no fuzz style and still manage to include everything vital. It's very explanatory and full of resources. really loved this book, showed me both investing and trading and now I will be taking action on both, this is an excellent introduction and I absolutely loved the narration that kept me very involved throughout. highly engaging narration for this kind of content, as someone who wants to learn about investing but isn't passionate about the Stock Market this is perfect, I need to stay engaged to learn, and even more than that the content is extremely helpful. Best beginners guide to the Stock Market I've found on audible, for both investing and trading, highly worth the purchase. The best beginners guide to the stock market you could ask for, simply articulated and has been inspired to start my investing journey. simple and easy to follow, the book outlines exactly how to get started investing in the stock market and what, excellent! The good Book of Day Trading Strategies cuts through the noise and offers 3 clearly described strategies for trading. 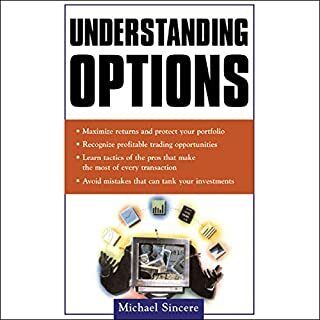 As a beginner in trading I find it particularly helpful to be able to read something that is concisely written and that gives me directions I can easily use to research stocks.This is a good book with clear descriptions of several trading strategies. It gives you enough to know to really start trading. Shinning through the book is the author's obvious depth of knowledge on stocks and trading. Highly recommended, especially if you are newer to trading, though experienced traders can get some good ideas too. A very simple way to start trading. Everything is explained in a simple manner but the author even explains why the strategies work. A very good introduction with clear instructions. Thanks for sharing your trading experience with your listeners. Now, I have a sense of how to pick a winner stock. Easy to digest, awesome narration and all the essential information and strategies covered.P robably the best beginners guide to the Stock Market I've read, this was added to by the excellent narration that made listening highly enjoyable- can only recommend. For anyone interested in investing and trading this is the best book to start with not only does it cover the must-know information, furthermore, it shows you exactly how to get started as soon as you finish reading and what strategies are best for you, thank you for helping me on my journey. Loved learning about the stock market in such an engaging way, going to open my trading account and learn even more and get started, thank you for kicking me into gear and thank you Matyas J for an awesome narration! very impressive book that covers both investing and trading in the Stock Market, extremely happy and made me realize investing is best for me and now can't wait to get started- thank you! Really enjoyed this book. I find myself going back and re-listening the chapters. Really easy to understand the concepts. Another great book, can't wait for next. I!m going to learn how to day trade. I've listen maybe 40-50 books on the market and trading and investing in the last three years, and this author really did a great job.